Let me introduce myself. If you don’t know me, I run Beyond Your Blog, and although I often say ‘We’ in social media and blog pages, it’s really just little old me running things here at BYB central. Technically, I feel I can say ‘we’ because after enough whining, begging and tears (if need be), my tech-savvy, yet blog-weary husband comes to my rescue for all things WordPress, podcast and moral support. That said, I am going to share the first recipe I have ever shared online. Nope, I’m not a food blogger (lucky for you). I’m sharing my personal recipe for how to get syndicated on BlogHer. Yep, that’s when they pay you! I am calling it a recipe, because just like there are thousands of ways to make brownies, this is just one way to get syndicated on BlogHer, and happens to be how I did it. I’d love to hear your story in the comments, and be sure to listen to my podcast with BlogHer Deputy Editor, Rita Arens for her inside scoop about getting syndicated on BlogHer. 1-2 Months Visiting BlogHer Daily – I started out by visiting BlogHer pretty much every day (at least week days). I got familiar with the way they categorize posts and I zeroed in pretty easily on the sections and sub sections that were the best fits for me. After a successful feature in the Blogging and Social Media category, I targeted that category for the purposes of this recipe. 4-5 Months, Cross Posting – I cross posted most of my personal blog content on BlogHer for several months prior to being syndicated. I would imagine that many people are syndicated after cross-posting for far less time, but this was my experience. I was mainly posting in 3 sections: Family, Work/Life and Blogging and Social Media, and was featured in all of them here and there. 1 Comment Per Day – During the time I was visiting BlogHer daily, I was making sure to leave a minimum of one comment per day on a BlogHer post, just to get my tiny headed avatar in front of editors a bit (and because there is awesome content to interact with and comment on!). 2-3 Shares Per Week – While I was visiting and commenting, I made sure to share things I really liked. I didn’t force shares, I just remembered to show some share love on the posts I really liked. I was sure to tag @BlogHer, the author, and the section (@BlogHerBlogging for example), so they knew I was a fan AND sharing their content. 4 Submitted In Targeted Category/2 of Them Featured – Prior to being paid to write for the Blogging and Social Media section, I had posted 4 posts in that section (most of my personal blog posts were actually in other sections), and 2 had been featured. 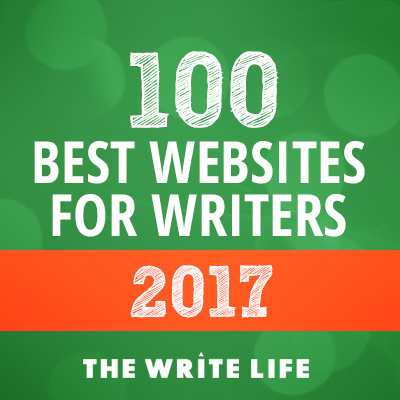 The 2 that were featured were: 8 Sites I Can’t Live Without (7500+ Reads On BlogHer to date) and Be More Funny – 22 Prompts To Help You Write Humor Posts (4500+ reads). 3 Topic Choices For Original – When they notified me that I had been featured in the Blogging and Social Media section for the second time, the editor also asked me to do an original and left the topic up to me. I pitched 3 ideas and she liked: How To Boost Your Site With A Blog Series the best (so did I). I wrote this and it was published the following month. Leave a comment to share your BlogHer syndication successes (or attempts). We’d love to hear! Be sure to check out my interview with BlogHer’s Deputy Editor Rita Arens for more info and tips on getting syndicated on BlogHer!